Yes, EPCOT started as a dream. But how did it come to fruition? Manpower and money, and lots of both. The estimate for this project was $600 million, but it ended up costing Disney about $1.4 billion to complete. Not all of these funds came directly out of Disney’s pocket, though. The company solicited pavilion sponsors to foot part of the bill. Each sponsor, such as Kraft and Kodak, reportedly paid anywhere from $10 – $50 million over a ten year period. With this financial backing, each sponsor received use of the Disney name in promotional materials and – depending upon the amount put up – may have received a park lounge named after them (think the Chase Lounge in the American Adventure Pavilion). After securing some sponsors, construction began in May 1979. Phase I (park completion to the point of opening day) was projected to take six years to complete. Disney wanted to open the park earlier than that. In fact the goal was October 1, 1982, only three years away. 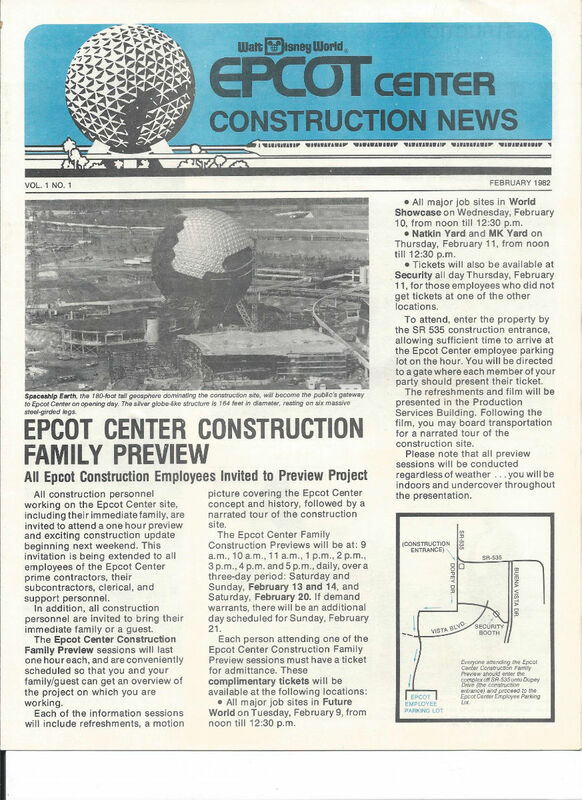 A massive amount of manpower was dedicated to the EPCOT Center project. Construction occurred around the clock, with most workers being on the job 7 days a week, 12-36 hours straight, for runs of 70-75 days. The project employed 3,000 designers, 22 construction companies with 500 subcontractors, 18 labor unions, and 10,000 construction workers. 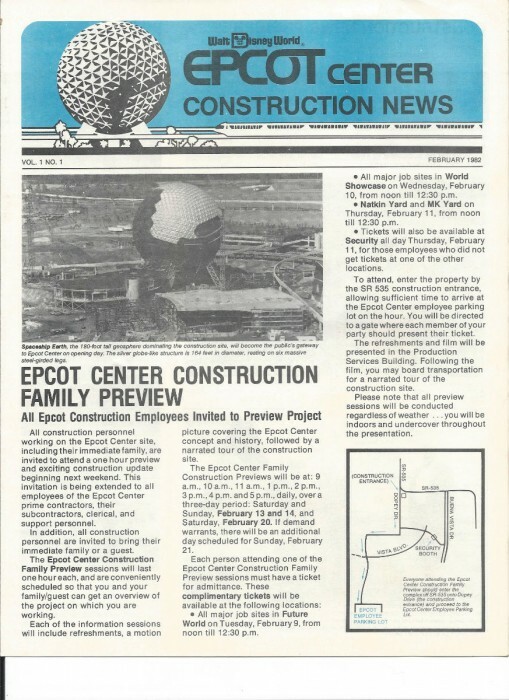 In order to keep everyone goal-focused and not have the project turn into mass chaos, Disney produced a construction newsletter for everyone working on the project. Sprinkled throughout it was the reminder that opening day was slated for October 1, 1982. It showcased projects that had been completed, as well as those in the beginning stages, and was a way to keep the large mass of workers encouraged throughout their grueling schedules. Not only were buildings going up. Electrical, water, and sewer systems were being built. Landscaping was being planted. During construction 54 million cubic feet of dirt was moved, 70 acres of sod was laid, and 3½ acres of annuals and plants, 12,500 specimen trees, and 100,000 shrubs were planted. The sheer size of the EPCOT project makes it utterly amazing that it was completed on schedule and that the gates opened on time. Where you part of the EPCOT project? Do you have special memories of opening day, October 1, 1982? Please share in the comment section below. 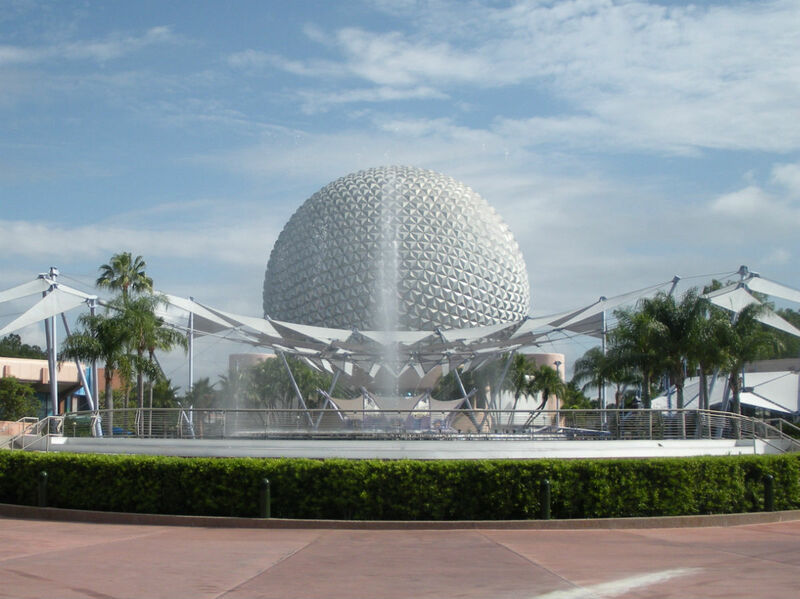 And for a quick look back at the D23 video for Epcot’s 30th anniversary, click here. Happy Anniversay, Epcot! May there be many more! My husband and I were resort guests and allowed entrance to EPCOT the evening before the official opening.